Renee just started a new Facebook page yesterday, January 29, for her work as an Independent Consultant for Arbonne products. 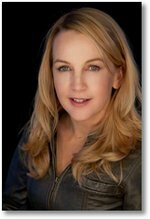 It's under the name Renee O'Connor Independent Consultant. So far, it looks like it's open to the public, even non-Facebook members. She hasn't filled in any info in the sections yet but there is a nice profile photo.